F295 is proud to announce that there will be an exhibition of Ralph Gibson’s work, carefully selected from the collection at the University of Pittsburgh, at this year’s symposium. Gibson is a bold, prolific photographer currently living and working in New York City. His use of high contrast and close up shots make his work striking. 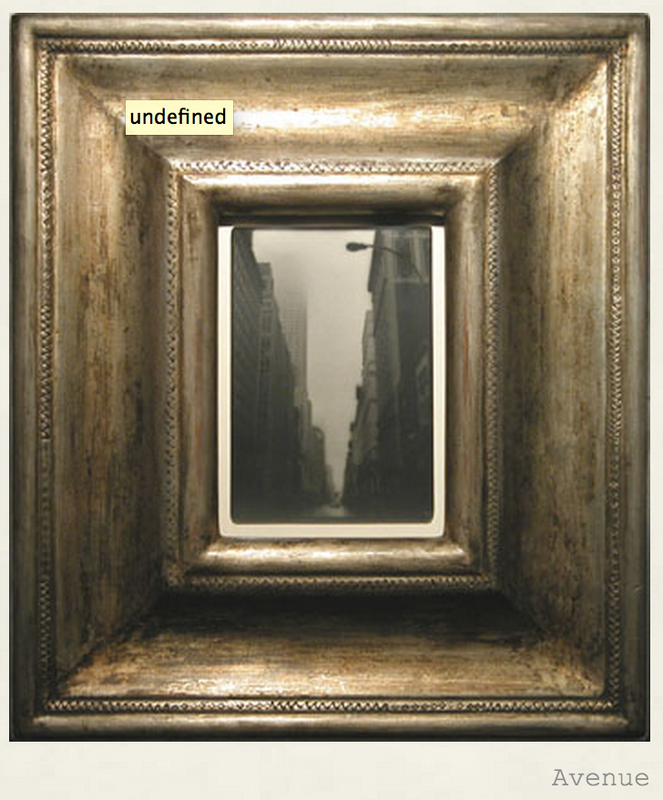 Seeing his work at the opening reception will be a real treat for attendees. 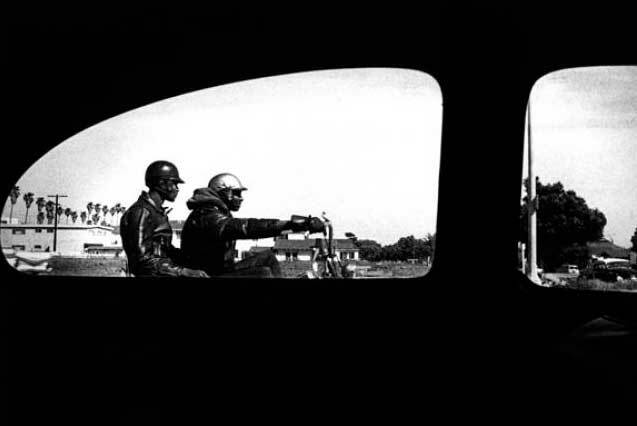 Gibson began his photography career as an assitant to Dorothea Lange in the 1960s and then went on to work with Robert Frank on two films. 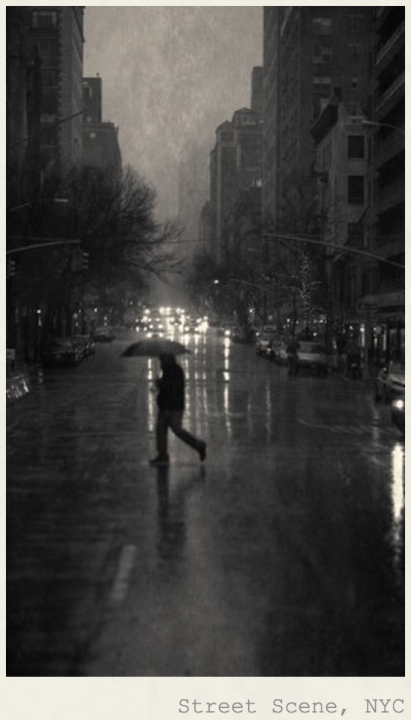 His style of photography lends itself perfectly to fashion. The Italian brand Bottega Venetta commissioned Gibson for several of their advertisiing campaigns. 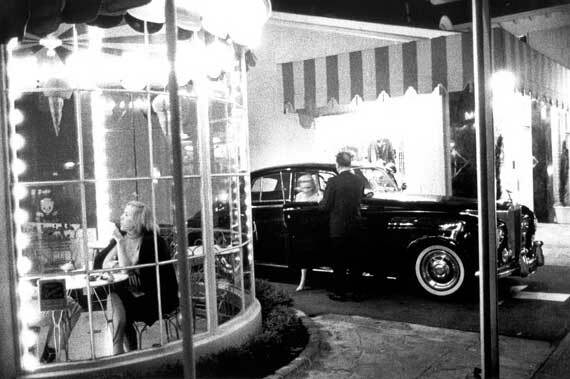 Gibson also won several photography awards, including the National Endowment for the Arts and the Guggenheim Fellowship. 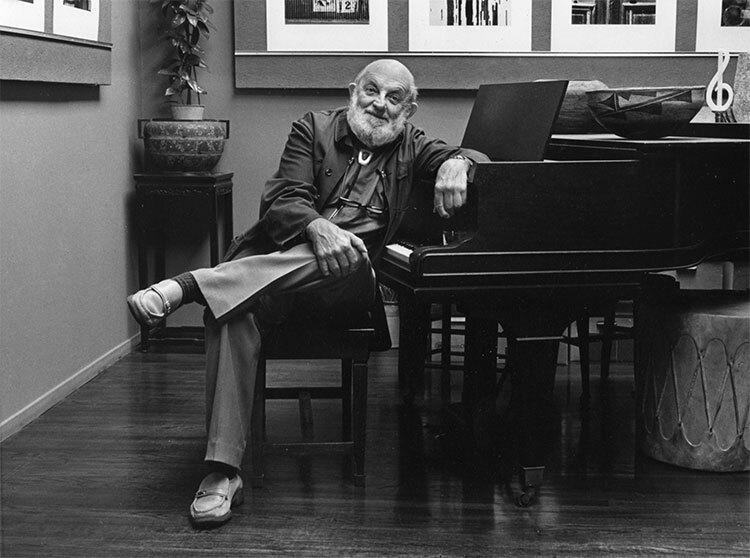 He has worked with the Leica almost exclusively for over 50 years. Gibson has published over 40 monographs during his career. 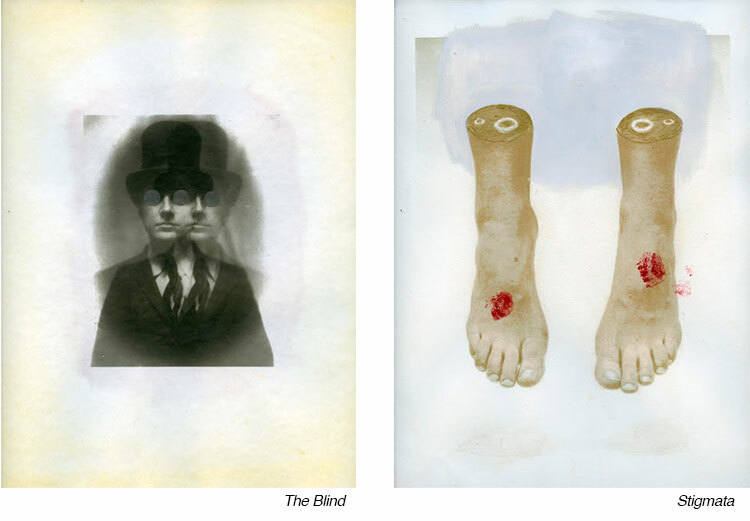 Books and book making play a significant role in his work and has since the 1970s, when he published The Somnambulist. His photographs are included in over one hundred and fifty museum collections around the world, and have appeared in hundreds of exhibitions. 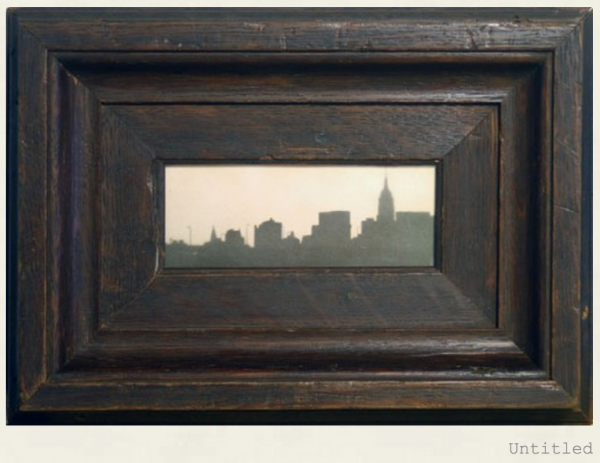 F295 is thrilled to exhibit Gibson’s work at this year’s symposium! The exhibition is located at University of Pittsburgh’s Frick Fine Arts Building University Gallery. F295 is thrilled that photographer Joni Sternbach will be delivering the opening night artist talk at this years symposium! At first inspection, it seems the photos are from another time, with their muted tones, exotic locations, and wild looking subjects. It’s almost shocking to discover that they’re all very recent images. 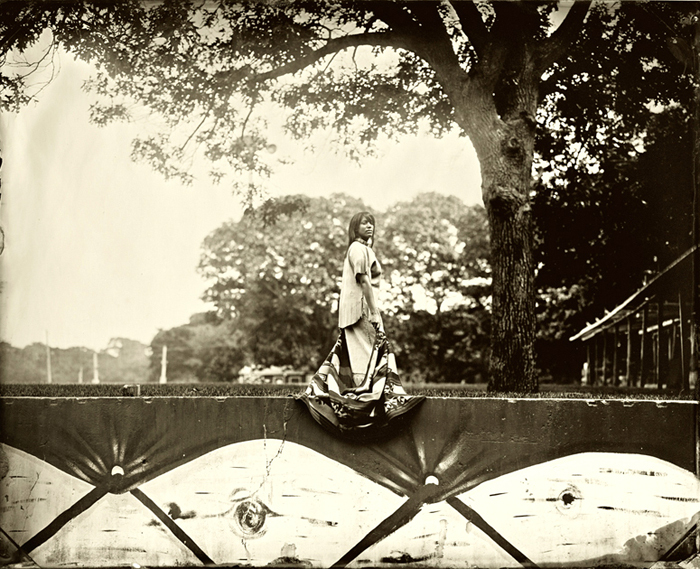 Sternbach contends that collodion’s raw quality is precisely what makes the technique suit the subject matter. She carefully composes each scene before shooting and processing on site. Another of Sternbach’s many fascinating collections is Shinnecock Days. The Shinnecock Indian nation is near the Hamptons and Montauk, but the people there lead a very different lifestyle. 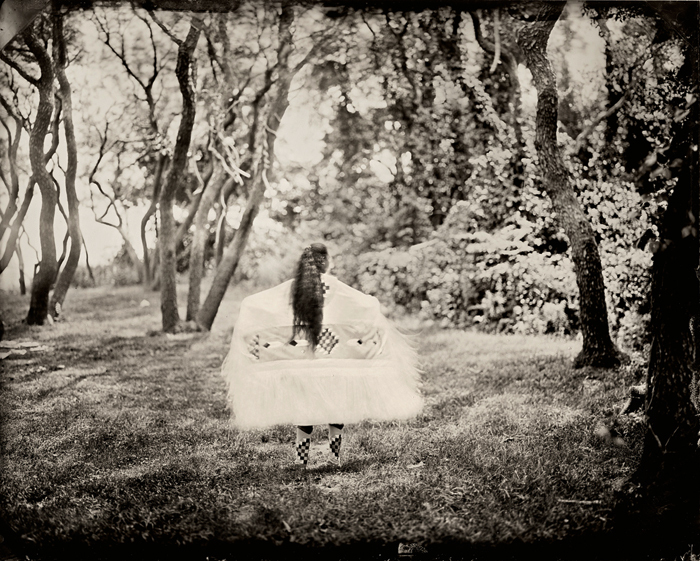 Sternbach uses the same wet plate process to capture the Miss Shinnecock Teen Pageant, where the girls have the opportunity to perform traditional tribal dances, songs, and poems. In her statement about the series, Sternbach discusses Edward Curtis’s influence on her, but says their goals are not the same. Her intent with Shinnecock Days is to address the relevance of tradition in a still-thriving, however marginalized, culture whereas Curtis photographed what he considered a dying culture. 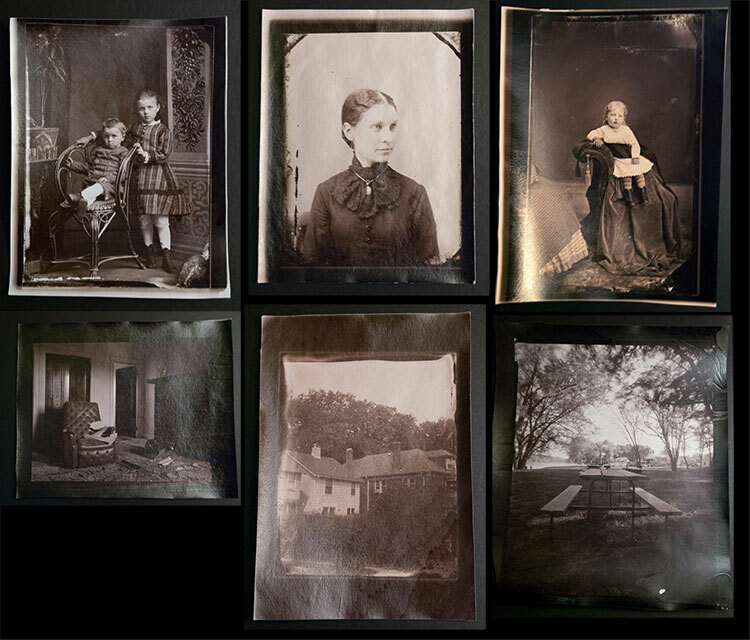 Sternbach’s choice of the slower wet plate process gives her time to connect with her subjects. 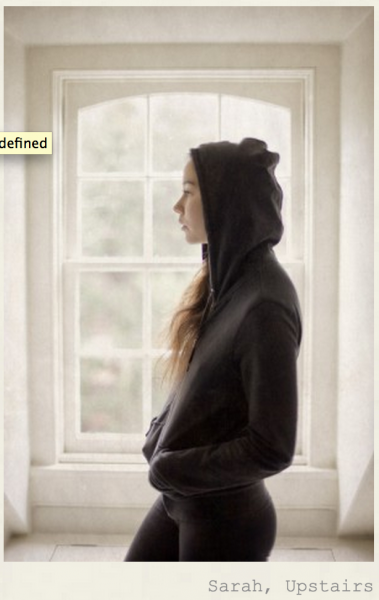 Her connection is clear in the richness and quiet power of her photographs. 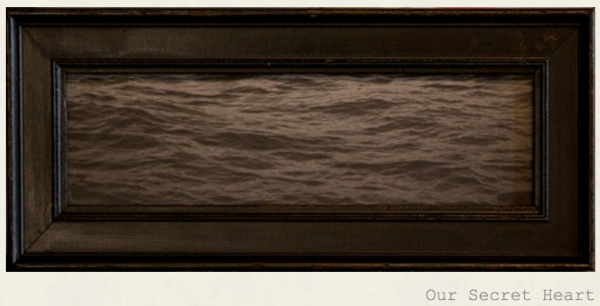 Share Your Work at the Opening Reception! The opening reception for this year’s F295 symposium is Thursday, May 29 from 5-9pm. It is a wonderful opportunity to meet and network with your peers and industry leaders! The event features a targeted industry trade show in which you can get to know and talk with people who are making products that relate to the work you’re making (you can also snag some free samples and give-aways from these great folks! ), an exhibition of Ralph Gibson’s photographs drawn from the collection at the University of Pittsburgh, a portfolio sharing session, and the opening night artist lecture by Joni Sternbach on her ongoing Surfland series of wet plate images! 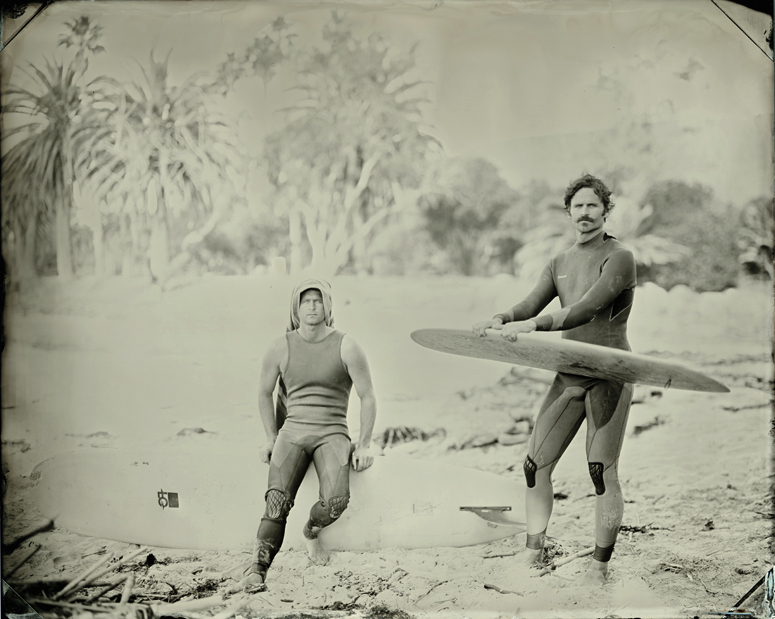 France Scully Osterman and two guests discuss tintypes. 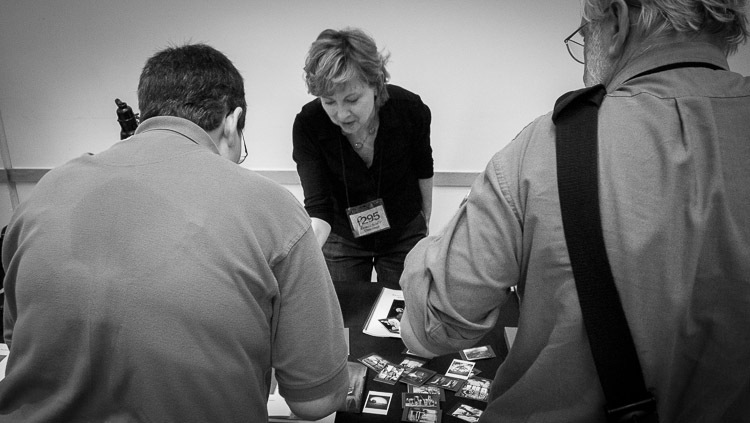 The portfolio sharing event is loosely structured: There’s a room packed full of 8′ tables on which attendees and speakers are invited to layout your photographs for discussion, inspiration, critique and knowledgeable photo-talk! Martha Casanave with a few prints, a couple of her books, and a few of her hand-made (and free!) bookmarks! This is a fantastic opportunity to give and receive feedback, view other work, network in the industry, and trade (or buy/sell) prints! We highly recommend that everyone bring work to share—you might just gain new and useful points of view on your photographs. Looking down a row at the portfolio sharing session. 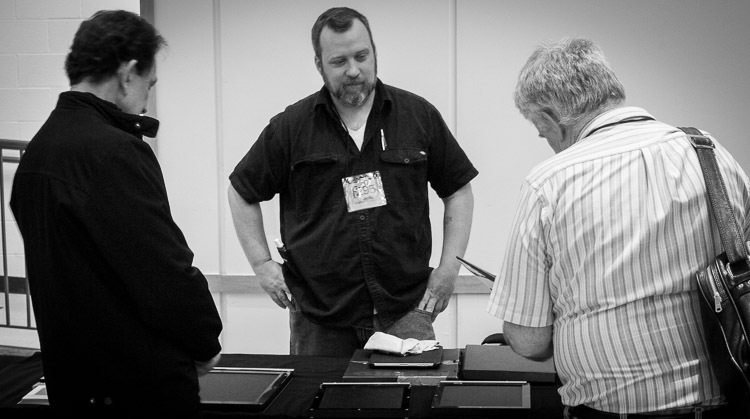 Jody Ake discussing his fabulous In-Camera Industries wet plate backs with two conference attendees. France overseeing a previous workshop participant floating paper on the albumen solution. 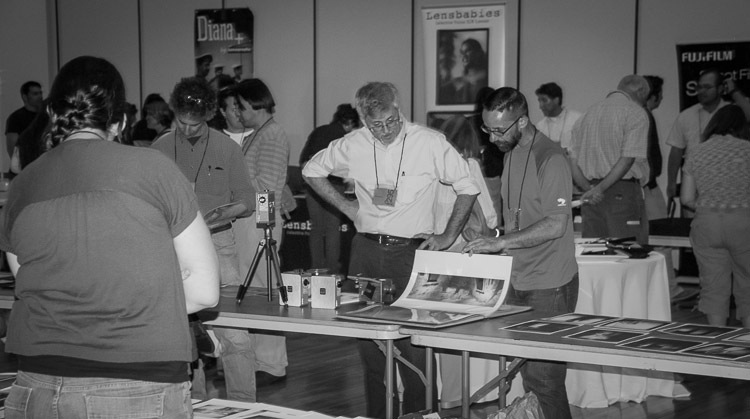 At this year’s F295′s symposium you will have the chance to learn everything there is to know about albumen printing! Not only that, but you’ll have the chance to learn it from an expert in historic photographic processes—France Scully Osterman! France Scully Osterman is an artist and educator based in Rochester, NY. She is best known and has received much well deserved recognition for her exhibition “Sleep” featured in Art in America, Paris Photo Magazine, and the Village Voice. She also has extensive knowledge of other historic processes like photogenic drawings, wet and dry-plate collodion, and salt print methods. 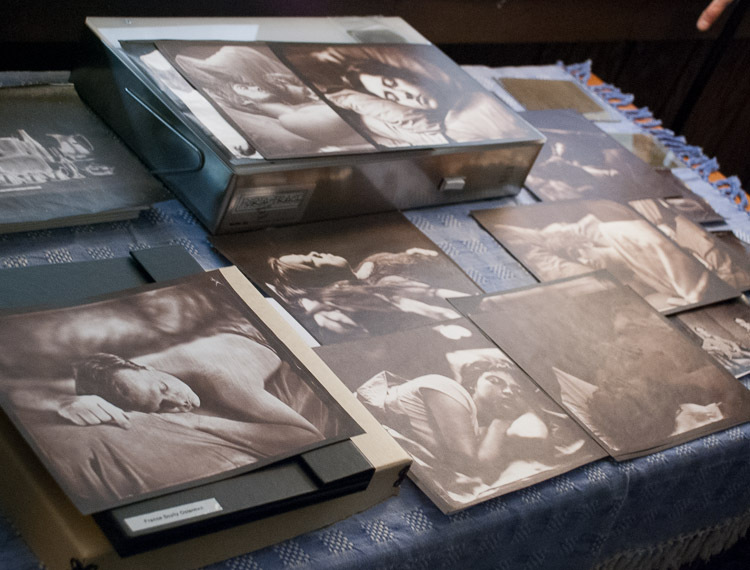 In the workshop participants will examine negatives to see what kind make the best albumen prints, what a good albumen print should look like, and what to expect from different types of negatives. Then Osterman will cover the albumen printing process and everyone will get to crack and whip egg whites with her! You will make the albumen solution and coat the photo paper, then have an explanation of the solutions that follow. 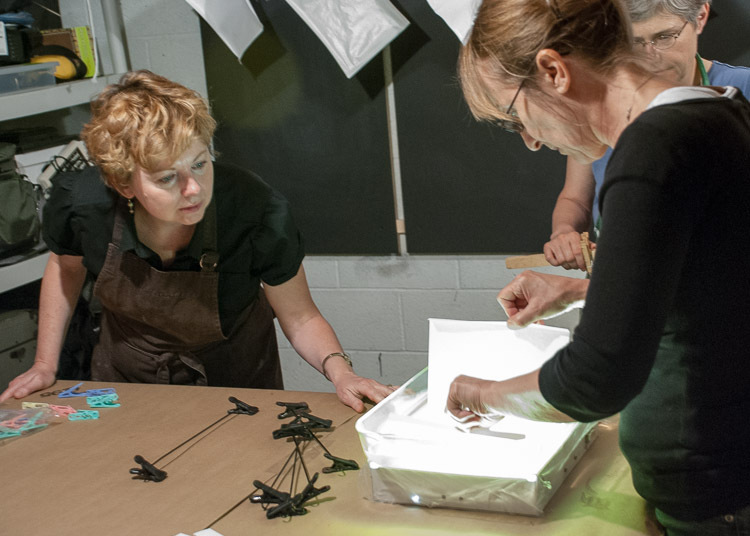 You absolutely won’t want to miss this fascinating hands-on workshop! 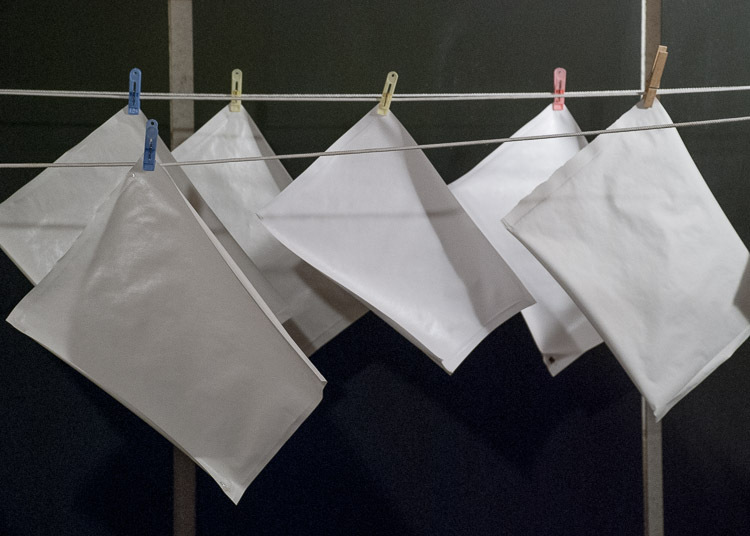 Albumenized paper hanging to dry. On the second day of the workshop participants will sensitize and process as many prints as time allows in the entire day. Negatives will be provided for printing but participants are invited to bring their own (8×10″ or smaller) with approval from the instructor. A few prints France brought to share with the class. 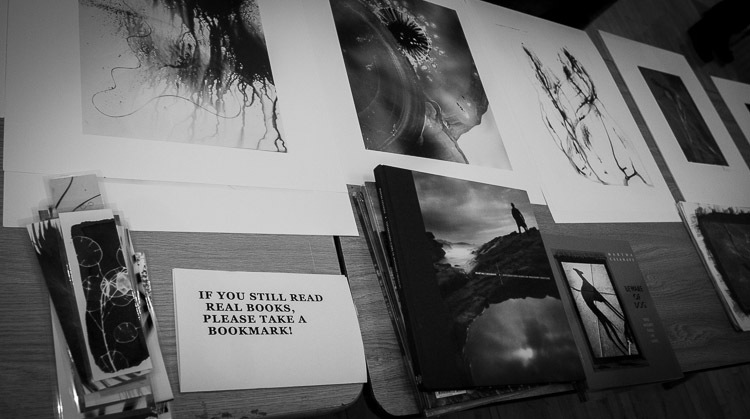 A selection of prints made by workshop participants. 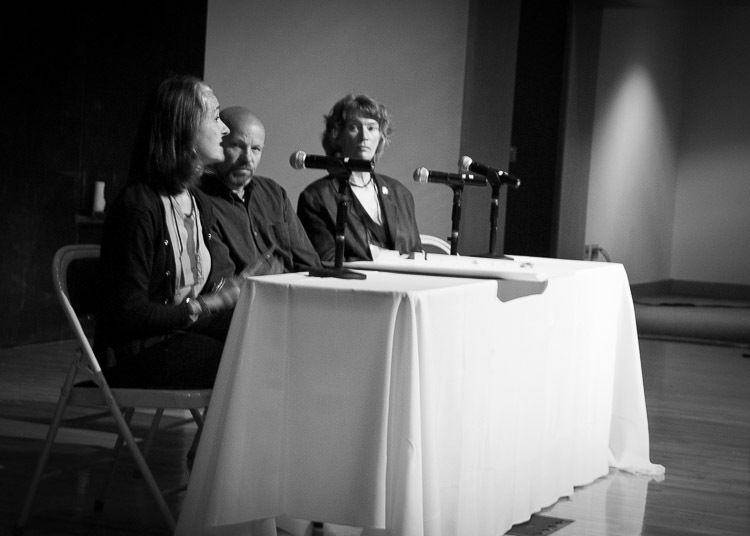 A few pictures from the F295 archives from past symposia! 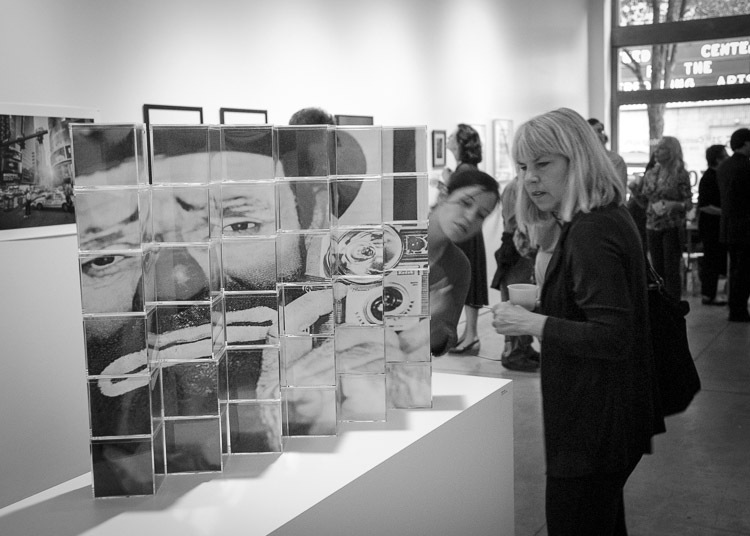 Christina Z. Anderson admiring a piece by Robert Hirsch in one of the F295 group exhibitions. Jesseca Ferguson, Ilan Wolff, and Martha Casanave field questions from the audience in the morning Q/A panel discussion. 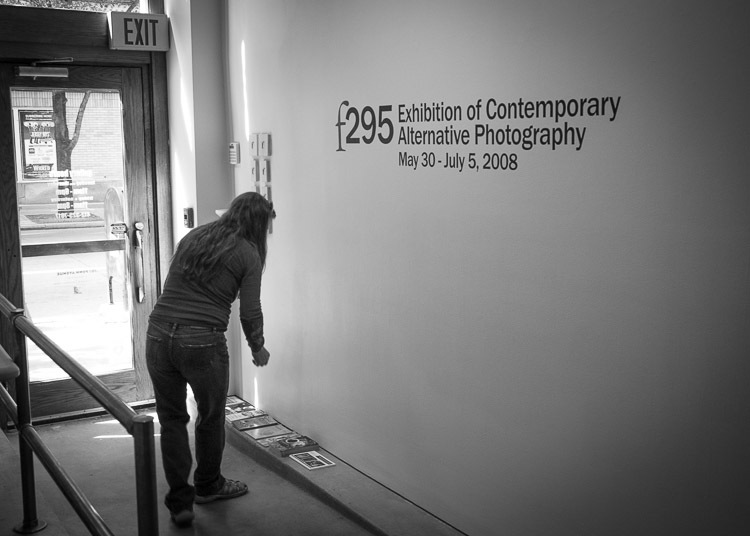 Finishing up the final signage for the F295 show of 2008. Gum Bichromate Workshop with Dan Estabrook! There is science, too, in photography — mixing salt and silver to represent the otherwise unseen details of the natural world. By processes physical and chemical, it is even possible to distill one’s breath, capture time, and give a material life to the immaterial. 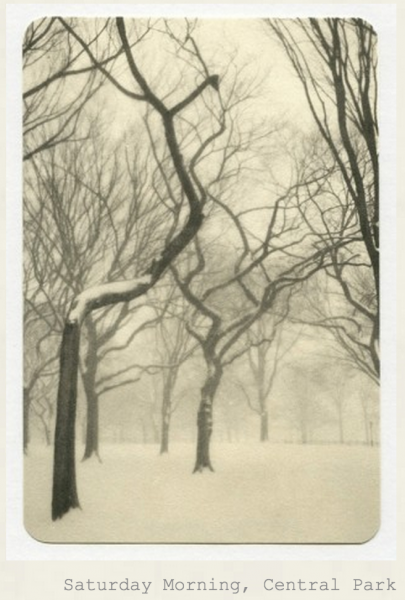 The gum bichromate process, can sometimes be frustrating, but those willing to court this fickle mistress can be rewarded with stunning results. F295 is excited to present Estabrook and his wonderful hands-on workshop at this year’s symposium! The workshop is limited to 10 participants — sign up now to have your chance to collaborate with this amazing photographer! Dan has been working with gum bichromate and other historical processes for over 20 years. 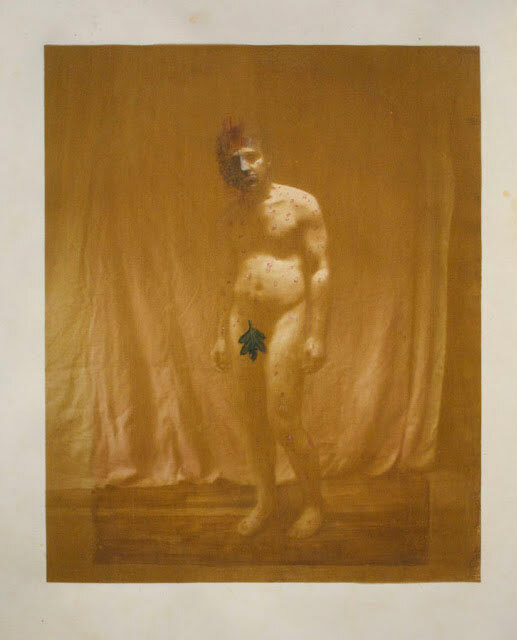 One of his series’, Nine Symptoms, (created with the salted paper process) describes the emotions he’s experienced falling in love. 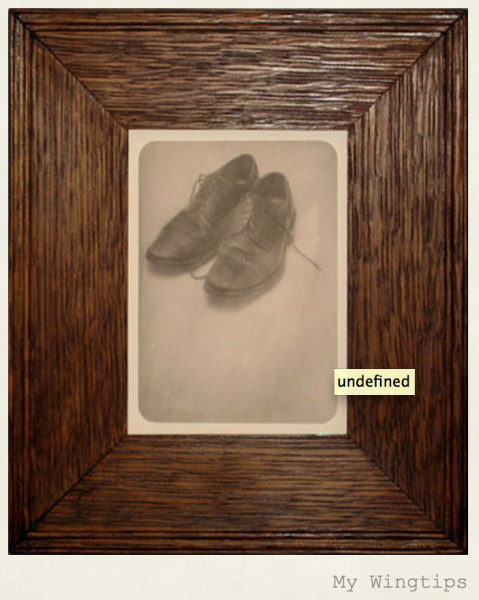 He calls to mind old medical symptoms with titles like “Shortness of Breath,” “Fever,” and “Loss of Appetite.” In this series and other works, you can see the painterly effects that gum bichromate has on finished photographs. Some of Estrabrook’s work appears looks like multi-media or collage because of his use of color, shape, and hand-alteration of the prints through drawing and painting. 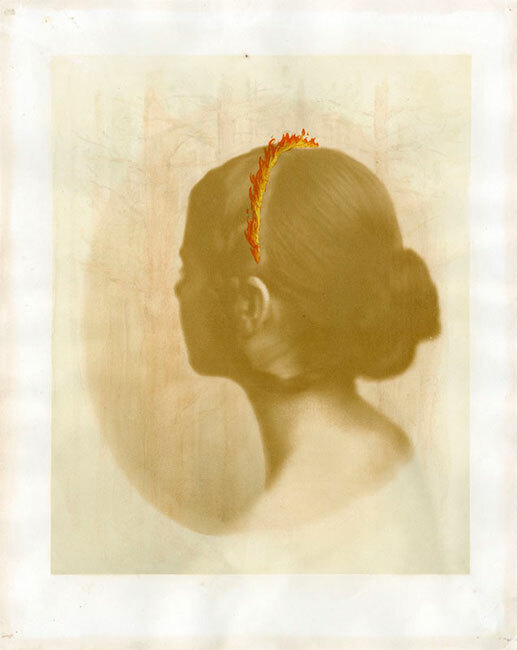 Gum bichromate is an extremely versatile medium, and this workshop is designed to show the full potential of the process while keeping instruction straightforward and easy to follow. In addition, Dan will be discussing with students on how to enhance the photographs by painting or drawing on the finished work. Students should come prepared with a least one negative for printing (8″x10″ or smaller) and any favorite art materials, such as paints, pencils, brushes, etc. 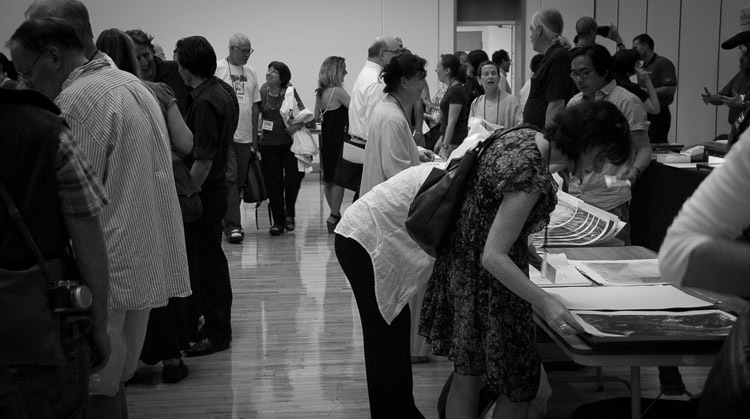 Over the next few Fridays we’ll be pulling some pictures from the F295 archive to share with you from past symposia. We look forward to seeing you at the end of May for the 2014 edition! 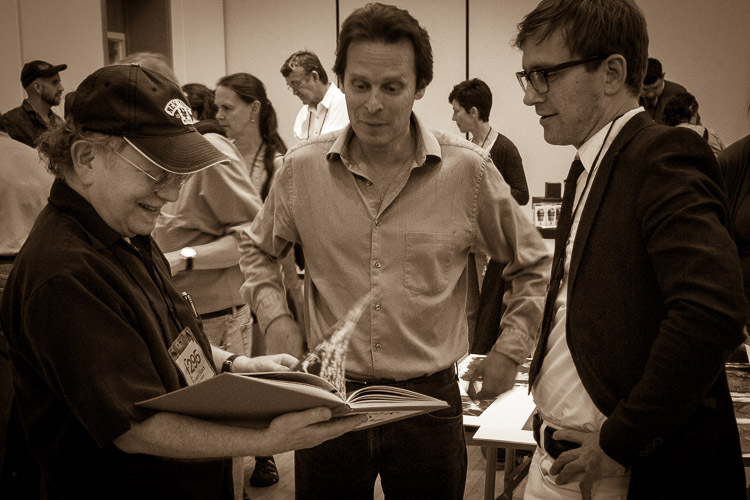 Robert Hirsch, Jerry Spagnoli, and Dan Estabrook look over Spagnoli’s latest book at the opening reception. 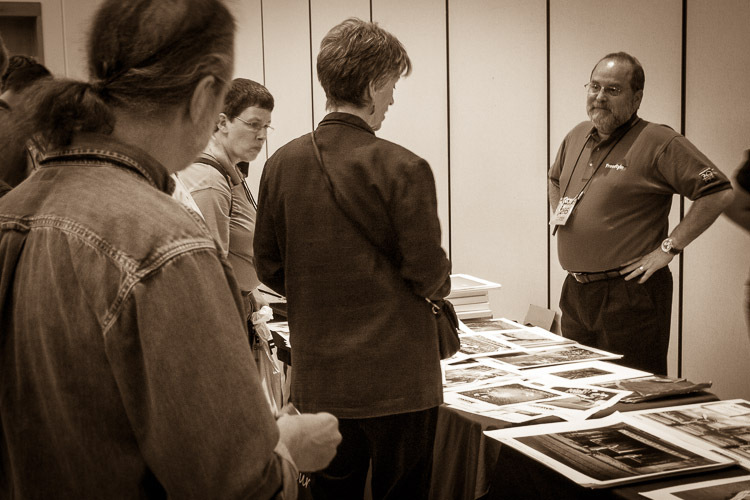 Eric Joseph of Freestyle Photographic discussing paper with Martha Casanave and others! 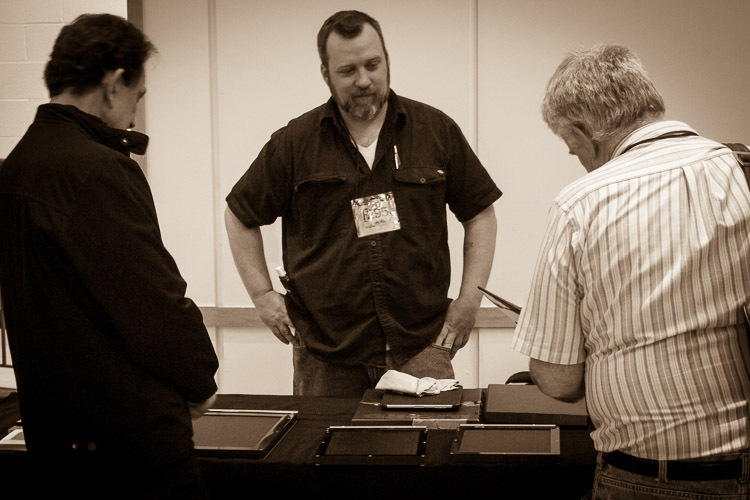 Jody Ake discussing his In Camera Industry wet plate (and other in camera processes) holders. 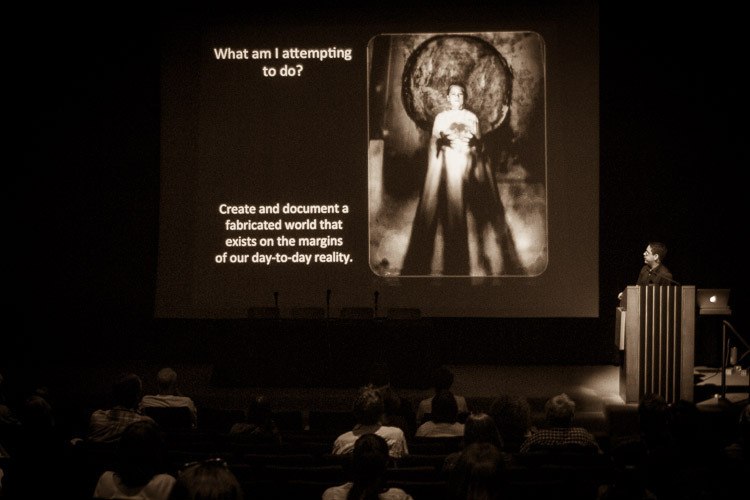 John Metoyer delivering a fascinating lecture on mythology, ancestry, history, and 19th century photographic process and how it all works together as he creates and documents a fabricated world with a foundation in the real. Two Free Seminars – All about Paper! It’s extremely important that we have a solid understanding of all of the materials that go into creating a finished photograph – everything from digital and analog apparatus to what substrate will be employed to deliver the finished print or object. So, to that end we’re hosting two different paper workshops at F295 this year AND they’re both FREE to those registered for the conference! Saturday morning at 9am Eric Joseph of Freestyle Photographic will kick things off with his groundbreaking 2 hour The World Of Inkjet Papers… The Print Matters! seminar. Eric has gone on an immersive journey into the depths of the vast variety of inkjet papers that are available and returned to share his discoveries with us. He will offer valuable information about how one might pre-visualize, before they snap the shutter, what the final printed inkjet output will look and what material will be utilized to realize that vision. After lunch at 1pm Bob Toth and Scott Disabato from Canson-Infinity Paper will deliver fascinating 2 hour interactive presentation that will take us behind the scenes making fine art papers. 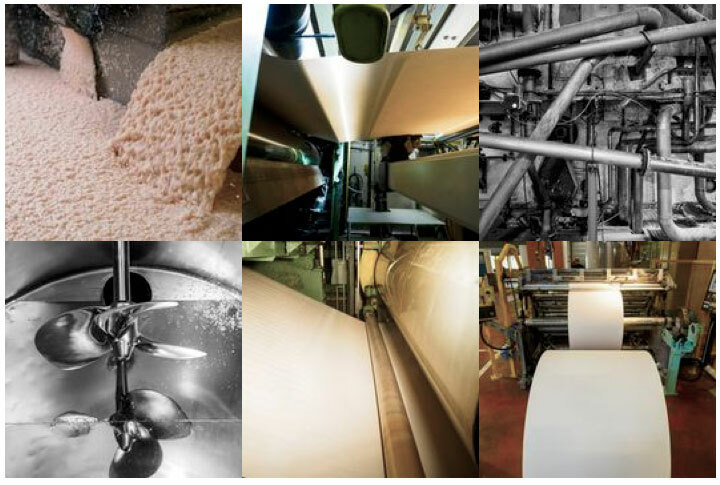 The Canson paper mill was found in 1557, the Arches mill was founded in 1492, and both are still in commercial use today. They’ll discuss how fine art papers differ from “regular” papers, how the production process impacts the final product, and more! This is a marvelous chance to spend time with some of the most knowledgeable people in the industry. Most of us create prints almost every day – it’s time to look beneath the hood and really understand the paper! These seminars are free to conference attendees, but space is limited and registration is required! Casanave’s workshop will be extremely hands on. She will take the 12 participants to a nearby, unknown location and methodically build an environmental portrait with help from everyone. By the end of the workshop you will have participated in putting together the composition for a professional grade portrait. 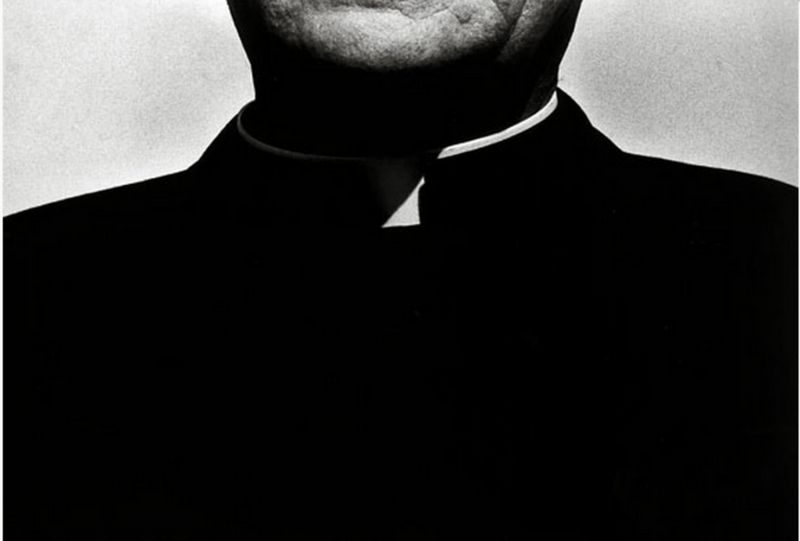 Martha Casanave is a working photographer with a portrait portfolio developed over decades. She built her own clientele and has been teaching photography for over thirty years. For ten years, she took groups of American photographers to Russia to work on projects. She even received a grant from Polaroid to document her experiences in Leningrad in winter. She was awarded the Imogen Cunningham Photography Award for her portraiture in 1979 and her book Past Lives– Photographs was published by Godine in 1991. In spring of 2013 she released her latest book: Trajectories: A Half Century of Portraits (Image Continuum Press). 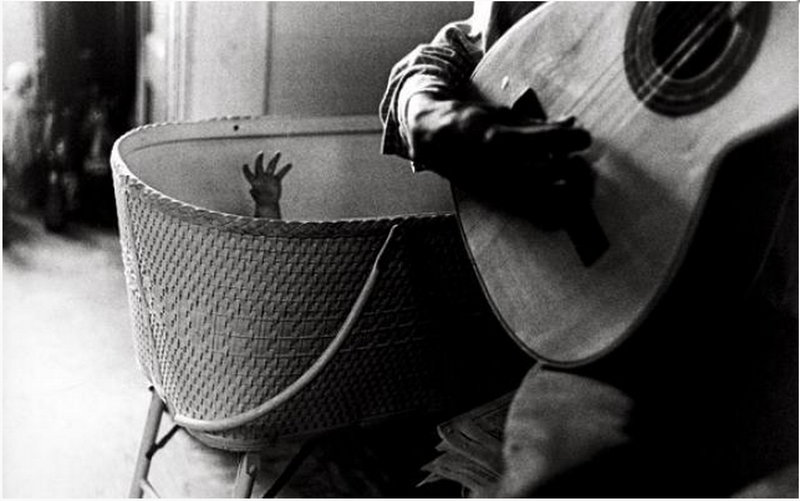 Casanave’s photographs are included in many major collections, such as the Boston Museum of Fine Arts, the Art Institute of Chicago, the Stanford Museum, the Bibliotheque Nationale, the J. Paul Getty Museum , and the Graham Nash private collection. 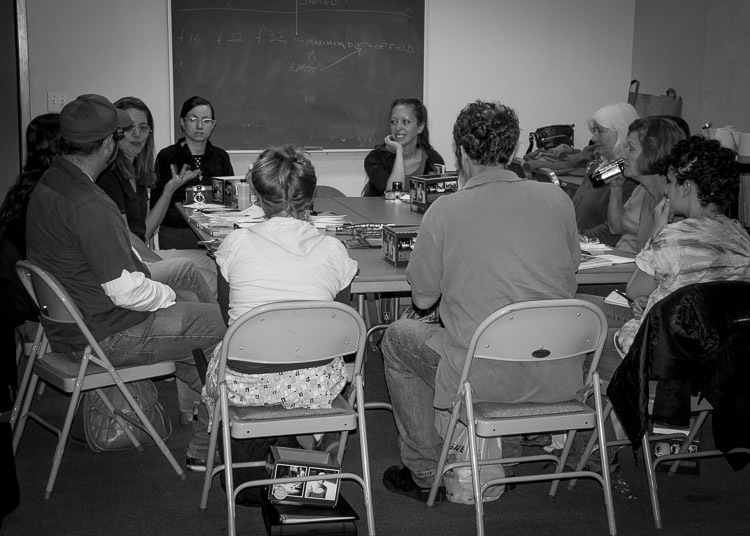 Casanave teaches Beginning Photography, Portraiture, and Alternative Photographic Processes at Cabrillo College in Santa Cruz, and Monterey Peninsula College. She also teaches workshops and Master Classes nationally and internationally.